The NCAWA was founded in 1978 by a vibrant group of women attorneys dedicated to speaking out on issues affecting women in North Carolina both within and outside the legal profession. Today, NCAWA’s volunteer board and lobbyist, in collaboration with local chapters and members across the state, continue the organization’s powerful mission of promoting the participation of women in the legal profession and advancing the rights and welfare of women under the law. The NCAWA has adopted resolutions to further its mission and goals of promoting and improving the administration of justice, and increasing the effective participation by women in the justice system, in public office, and within the legal profession. Members are afforded invaluable opportunities to stay informed about state politics through monthly legislative updates and regular calls with the lobbyist during legislative sessions. Join the NCAWA to support women and protect the rights of all peoples through a just and fair legal system. Join NCAWA and enjoy your first night at the conference exploring downtown Raleigh together. We will learn about the crazy laws that still exist in North Carolina and the history that started it all. The tour will include sights of downtown Raleigh .Wear your walking shoes. Women in the Law Plenary Panel: Discussion panel of women in the judiciary & in politics & their road to leadership and what it took to get there. Moderated by Justice Robin Hudson of the NC Supreme Court. Dean Phyliss Craig-Taylor is Dean of North Carolina Central University (NCCU) School of Law. Prior to becoming Dean, Craig-Taylor served as Associate Dean of Academic Affairs and a Professor of Law at the Charlotte School of Law. Dean Craig-Taylor has taught courses in Property, Real Estate Finance, Advanced Issues in Property, Land Use, Women and the Law, Land Loss, and Professional Responsibility. Dean Craig-Taylor has been a faculty member at the University of Florida and North Carolina Central University as well as visiting scholar at the University of Warsaw Center for American Law. 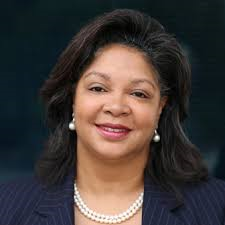 Dean Craig-Taylor is a member of the Council for the American Bar Association Section of Litigation. She has held numerous other leadership positions with the ABA including Division Director and a member of the Civil Trial Practice Task Force. Currently she serves as a member of the Heirs Property Retention Coalition, and formerly served as the ABA Advisor to the Drafting Committee on Partition of Tenancy-in-Common Real Property Act for the Commissioners on Uniform State Laws (formerly National Conference of Commissioners of Uniform State Laws), and as a member of the Judicial Partition of Tenancy in Common Property Study Commission for the North Carolina State Legislature and she serves on the Ethics Advisory Committee Member of the North Carolina State Bar. Craig-Taylor also serves on multiple community boards. Dean Craig-Taylor received her Green Belt certification in Six Sigma process management from Vanderbilt University. Under her leadership a support program was created that focused on study skills, reading comprehension, time management, examination preparation and a successful bar preparation program. Dean Craig-Taylor has published numerous articles on land loss in the African-American community and discrimination in the application of laws for minority groups, including women. She is currently writing a book on the subject of land loss. A graduate of the University of Alabama Tuscaloosa, where she completed both her undergraduate degree and law degree, she later served as a partner in the law firm of England & Bivens and as a judicial clerk for the Alabama Supreme Court. She later earned a Master of Laws degree at Columbia University. IF YOU WOULD LIKE TO NOMINATE YOURSELF OR SOMEONE YOU KNOW FOR A BOARD POSITION WITH THE NCAWA, PLEASE CONTACT MONICA WEBB . ELECTIONS WILL BE HELD AT THE CONFERENCE ON FRIDAY, AUGUST 18TH.